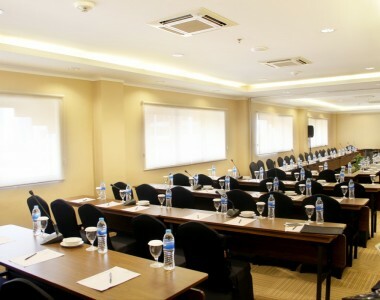 Located in the heart of business district and in close proximity to luxury shopping malls, convention centre and sporting complex, Embassies Kartika Chandra Hotel offers the ideal Jakarta meeting venues and rooms for your business gathering or conference as well as of your personal and intimate events and we understanding the needs to provide a place to held effective and efficient business meeting for you in the busy town. 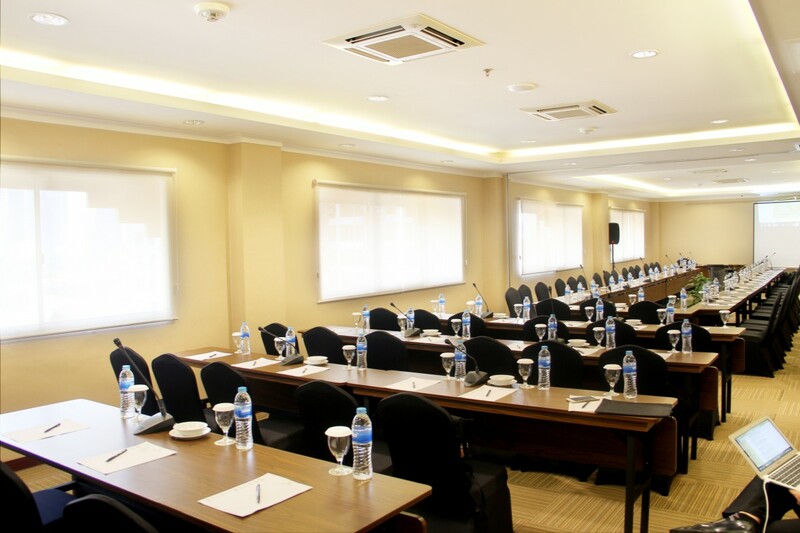 We offer smaller rooms for more limited events such as small seminar, meetings or parties on the first, second floor 5th floor, 7th floor and 10th Floor. 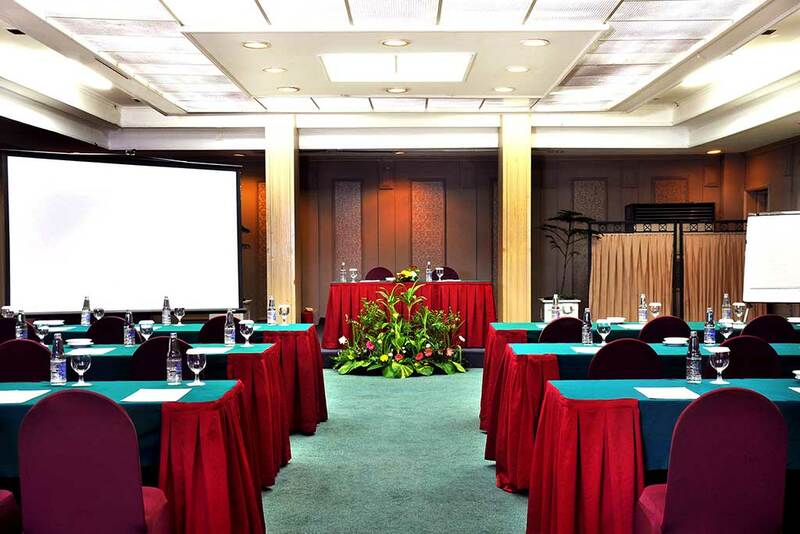 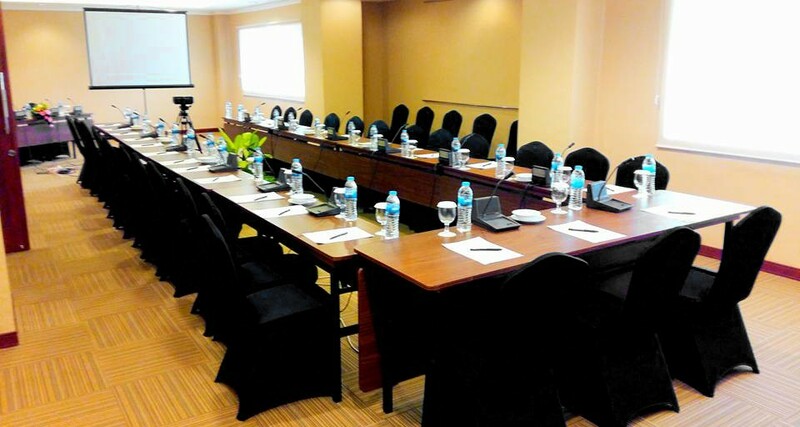 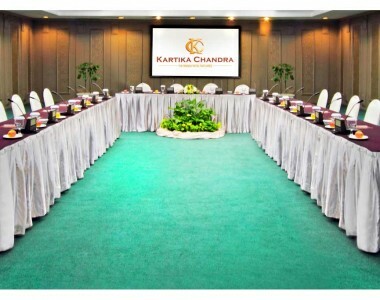 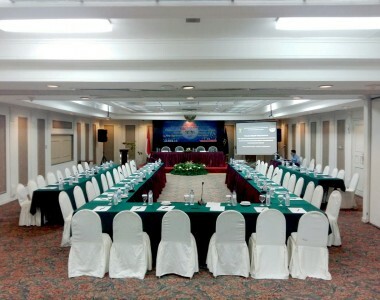 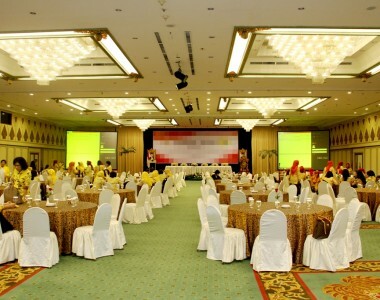 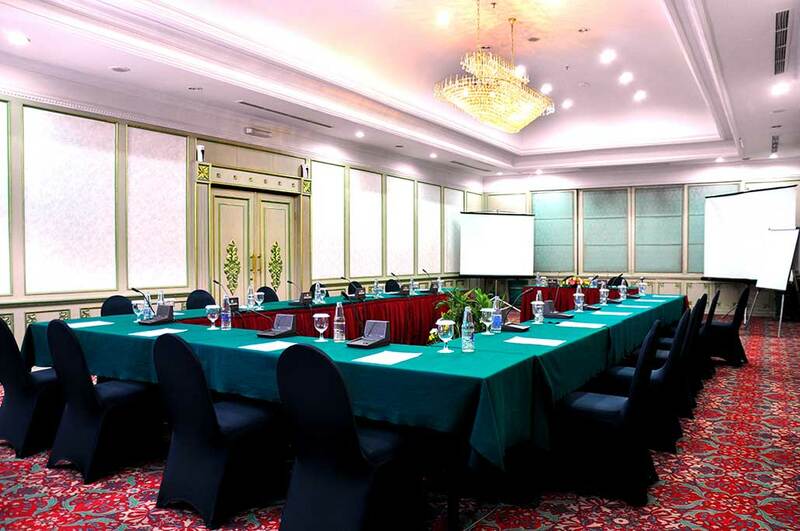 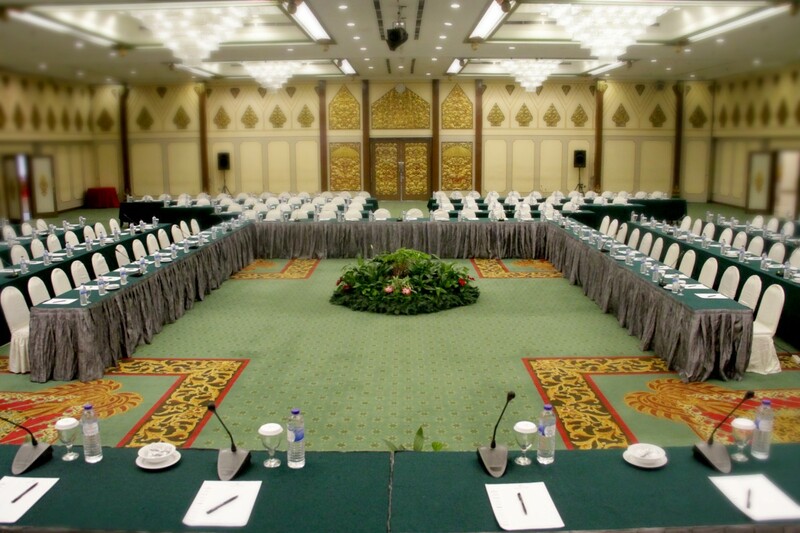 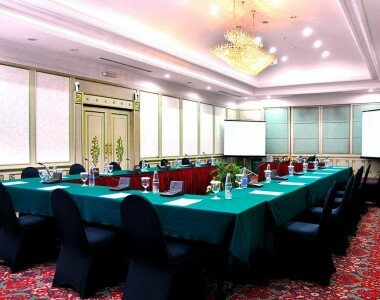 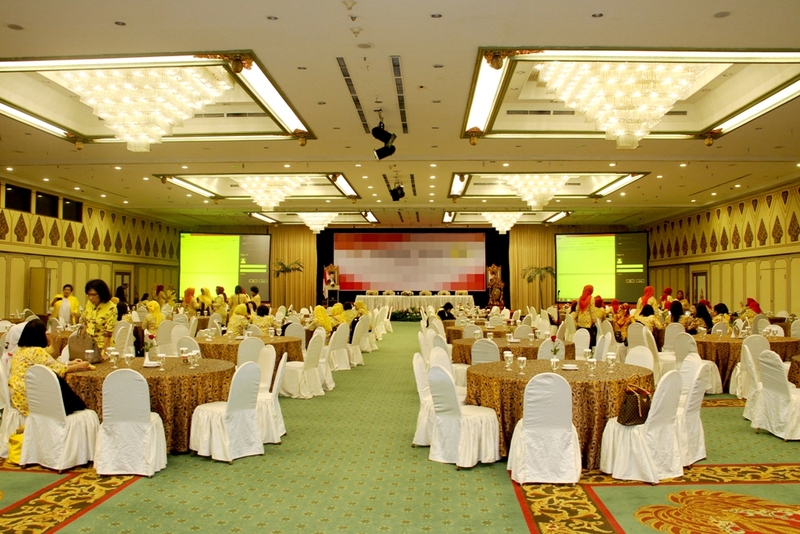 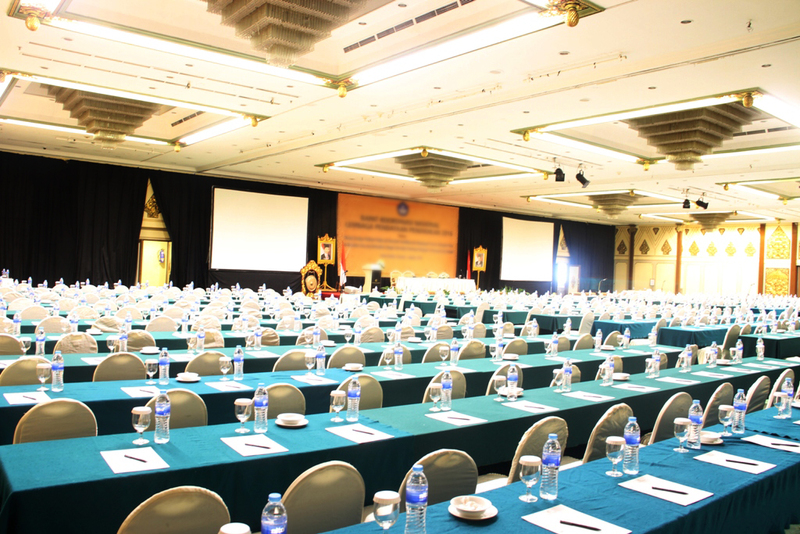 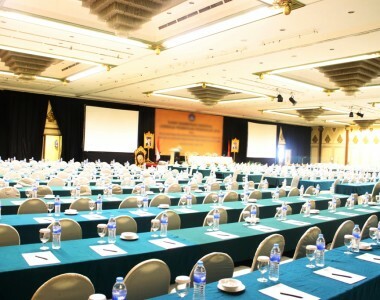 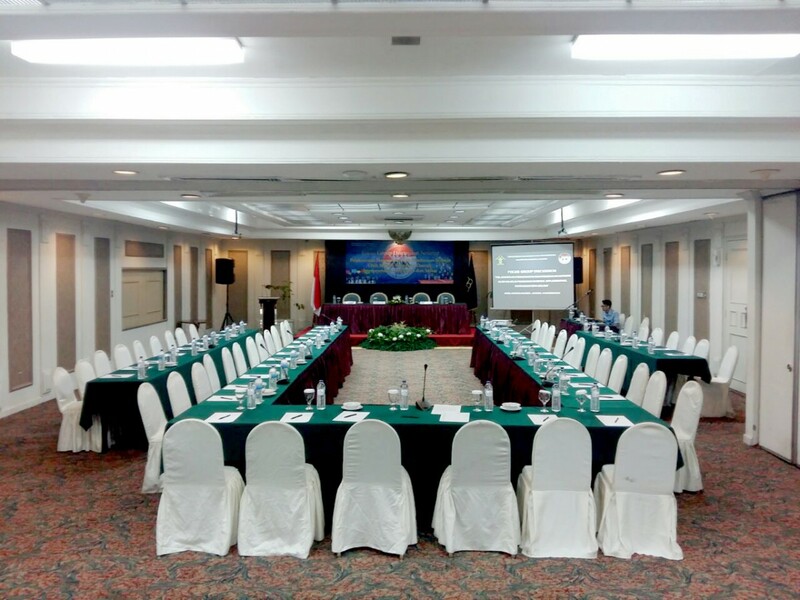 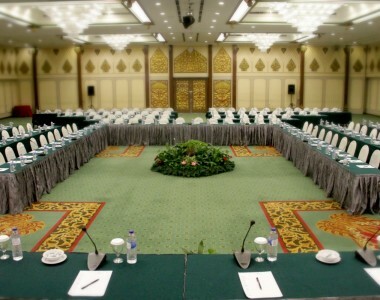 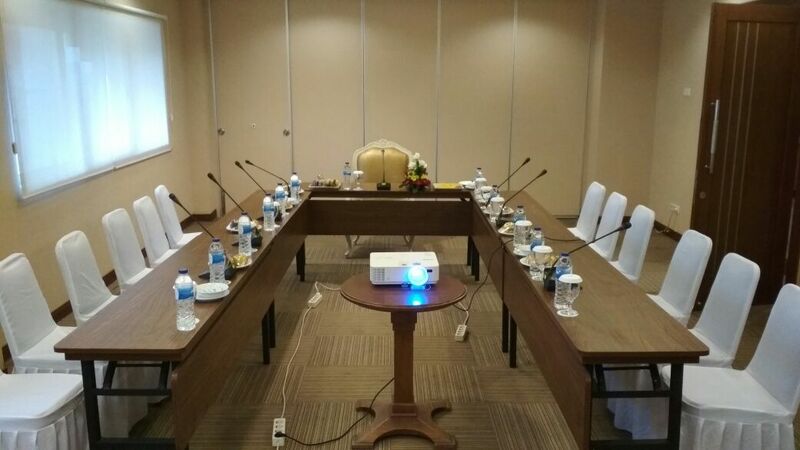 For special meeting requiring complex presentations the Kartika Chandra has the Tawangmangu Room a modern meeting room for 50 to 100 guests, which is equipped projector, screen, and presentation facilities. 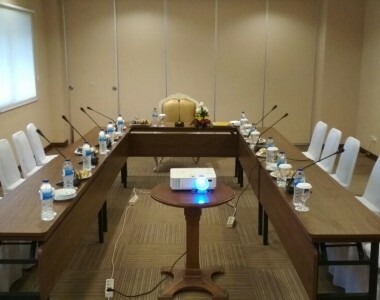 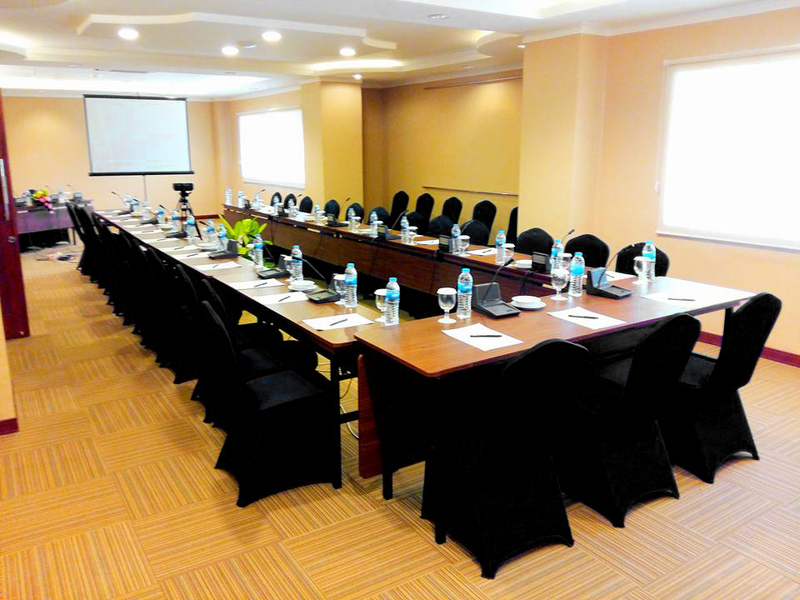 Kaliurang meeting and conference venue of choice, Kaliurang versatile function rooms covering over 10 to 20 guests of function space ideal for small scale meetings and conferences as well as intimate business or personal gatherings. 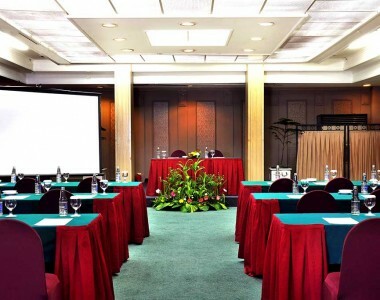 All of the function rooms are supported by a professional experienced Convention Service Team. 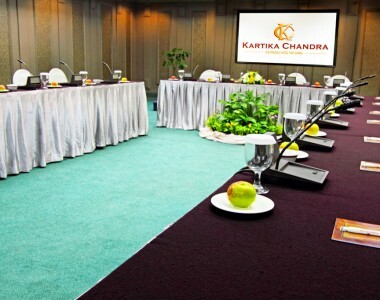 The Kartika Chandra proudly offers the Kirana Grand Ballroom (Balairung) is one of the most prestigious convention centres in Jakarta, which is able to accommodate 1000 reception guests, 600 people of dinner tables set and 2000 standing party guest. 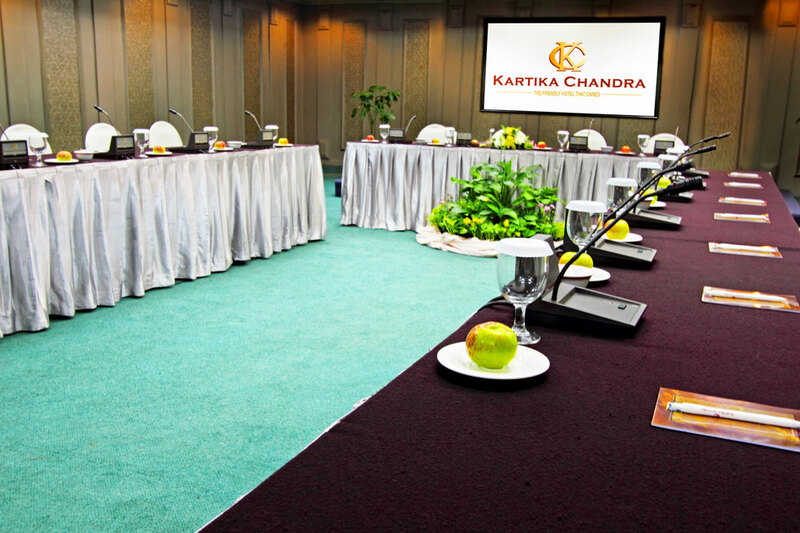 Kirana is our iconic link to Java cultural elegance, and we become one of Jakarta’s best options for prestigious and first class events. 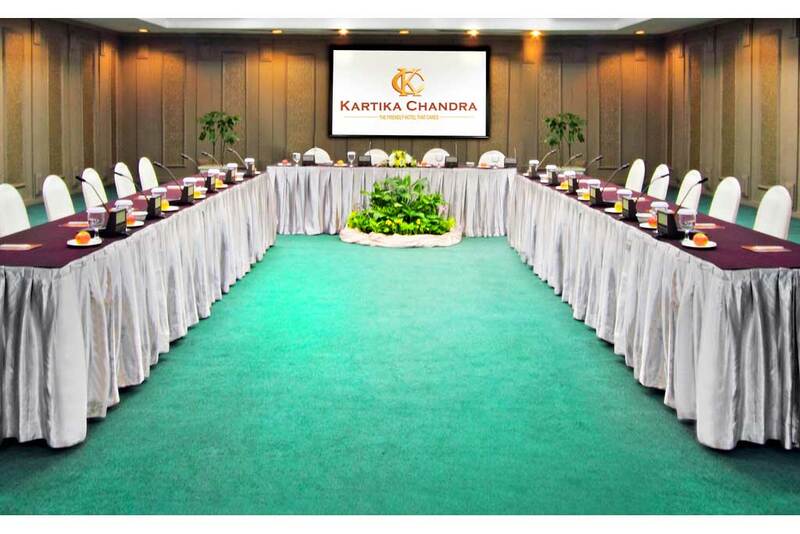 We put up the best effort to bring any Gala Dinners, Charity Events, Awards Nights, Functions, Corporate Events or Birthdays to be held in spectacular and memorable ones.